Yesterday was the opening day of 2nd term. The new campers arrived and are all totally involved with the activities and the daily routine. 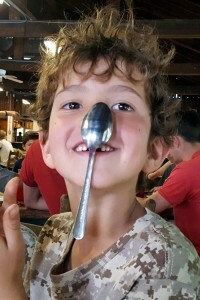 Although this may not exactly be routine, it is joyful to first learn how to hang a spoon from your nose.